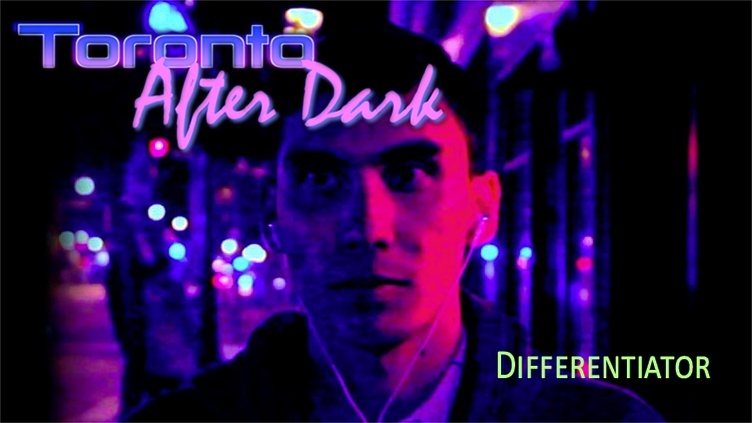 A young man suffering from insomnia wanders through Toronto after dark and sees that he's not alone. Check us out on the "latest" episode of e-tertainment monthly! Season Premiere - Thursday, September 4th, 2025 at 8pm following "The Kids in The Hall Reunion Special: Alive and Chicking." Be sure to tape it on your VCRs. It's crazy to think that after season 5 people starting using VCRs again. "If I hadn't gone to prison then I never would have married Big Chu. So overall, I guess it was a good thing that I smuggled all those Pugs from Peru." You go up to the counter and ask for a TADR. Congratulations on making it to the Top 55! Creative team and really good concept. It’s tough to come up with solid product each week. Best of luck moving into the top 15. What a great idea and good cast that is executing the comedy. Good job everyone and good luck. nifty ideas here! nothin like it. i really appreciate what you're doing here. youve got serious game and i have become a big admirer. you deserve to win this contest. you are definitely welcome to entertain me any time of the year. keep it up and be the people youve always wanted to be. You guys did a nice job on the challenge for this week. Congrats on making the top 55 and good luck in the rest of the voting. Wishing you the best in the competition, your good friend Sharon. Good job on this week's challenge. Good luck in the remainder of the competition. You have a funny concept here and hope you make it through the next round! Cheers! You guys have a funny concept that you are delivering perfectly. Toronto may be Canada's largest city but it is made up small neighbourhoods that actually have everything that small towns have. The location shoots can be pretty diverse in TO and you guys are taking full funny advantage of your environment. You shouldn't be criticized for that . I say this as a resident of a small town. It's been a great show so far! Thanks for the comment, Rob! What you said is so true! It's hard to explain to people who have never been to Toronto, but this setting in no way prevents us from including small-town content and characters. I think it is great that you have this opportunity and I wish you the best of luck as you go along. I appreciate the effort you have put forth so far. At the same time, Bobby, there is only so much that you can do in a small town before that becomes repetitive. Some areas of Toronto are like a small town, others are densely urban, others seem so serene in their natural beauty that you forget you are in a city. So I get your Toronto-centric concern, but this location simply gives us every possible option for sketches. 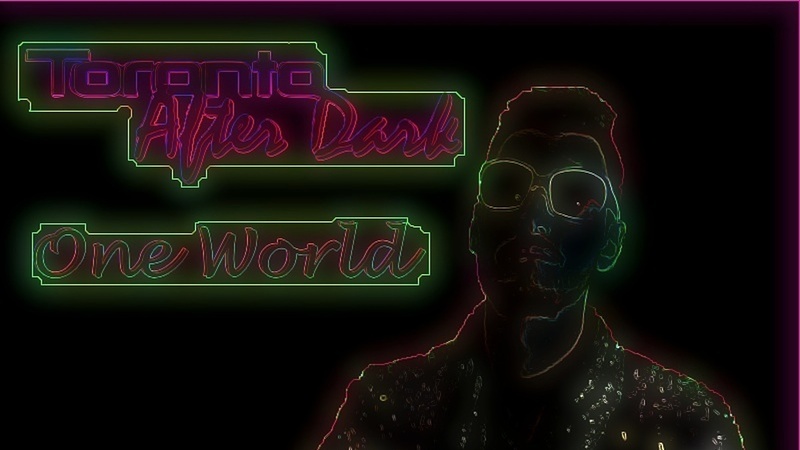 toronto after dark.. or TAD as they call it on the streets hehehe.. not that i know anything about street talk.. muahahah.. but seriously this video looks good, it seems like you put a lot of time and effort into it and i appreciate that dedication! Thank you for watching, Steven! Nice name, by the way. i have really enjoyed all the work so far, each video keeps getting better. Great concept idea and performances. Wow, Ted! Thank you so much! We're confident in our concept and it's great to hear that it's getting noticed by people like you. I like your concept...so many possibilities! I hope you guys actually make it to your 10th season on CBC! 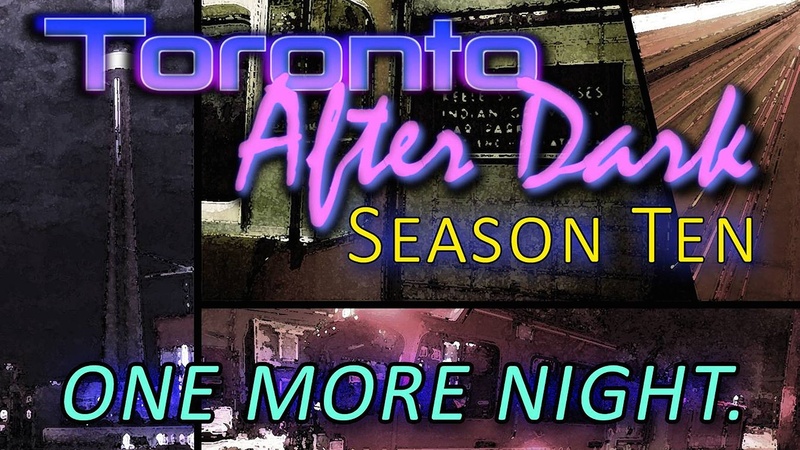 In the meantime, I'll look forward to season 1 of Toronto After Dark! That's the idea, Katie! The location allows basically anything to happen! Thanks for your comment. Funny concept you got going on here. Good luck with your progress throughout this competition. It would be interesting to see what else you come up with. Thank you for watching, Georg! Not a bad video at all. I have been following these guys for a while and I have still been impressed with what they throw out. I like the cut scenes and the music that goes with it. This video was different from what other teams have put out and its good to see some groups putting in the effort to go above and beyond. Between Toronto After Dark and Campus Law, I would say these two groups are the front runners. But here I liked the confidence and seeing how comfortable they are. Exciting to watch and looking forward to seeing more great work! Thank you so much, Taylor! We put a lot of thought into how we can approach the weekly missions in a creative way and it's so great to hear that effort is appreciated! And I hope you're right about us being a front runner! I thought it would be better than it actually turned out to be. Sorry, too much explanation and not enough cohesive action. You killed this challenge. Kept it interesting and funny while showing a bit of innovation. I hope that you are on CBC for 10 years! Thank you so much, Dylan! We hope we are too! And we could get there with the support of people like you! Thanks, Sheldon! How fitting that our Differentiator video was different, eh? Glad you liked it! I liked this. Good pacing; decent content. Yeah this idea totally captures what we love about comedy. We find ourselves writing new stuff for it constantly. Thank you. "Too many racist Chinese people" is a futuristic masterpiece. Know your limits, play within it. Brought to you by the OLG Casino. Come with us to a nightmarish future reality where that is a #1 hit... Then quickly come straight back with us because we do NOT want to get trapped there. Love you. LOVE HOUSE OF COMMONS. We've watched your week 3 so many times. IF YOU ARE READING THIS GO CHECK OUT HOUSE OF COMMONS. THEY ARE HILARIOUS. I loved Cash Grab at the MTL sketchfest! But guess what... you were made for the screen! Solid premise for this video. Made for alot of great jokes. Looking forward to seeing more! Oh yeah audio issues but who cares. Thanks, Danny! Glad to have you as a fan. If you're wondering why we look better on camera, it's because we don't have those bright stage lights exposing our numerous imperfections. Thank you for your support! interesting concept for week 3 video. I love this video. It is so well done and is very professional. I'd really like to see more from this team. High quality and interesting concept. keep up the good work! We'd love to show you more, Yvonne! Follow our project and keep updated! Some great jokes and adept sketch-style comedy. Think this one could be pretty good, and one to keep an eye on. Hadn't seen it until today, but it definitely caught my eye! Thanks, Lane. Keep an eye on us! Click follow and check us out each week! Very inventive video. Clever and refreshing! Tastes good too!! Seriously, this is a very smart group of young comedians who have earned their comedic chops! We appreciate all your kind words, Judy. We'll make you proud! "Too many racist Chinese people." I love that song. It points out just how naive so many people can be. If had a project on her, I'd be very jealous of this video. This team nailed it! Haha, we're psyched we could release the full song along with this video. Thanks for watching, listening, and commenting! We're glad it was refreshing! We always want our videos to be fast paced. Thanks Marilyn! Great characters, they are so funny each in their own way. I really like what I have seen so far and look forward to seeing more. I agree with an early comment about the "looking at the water" joke, I loved that surprise with such skilled delivery. That scene was so much fun to film, Julie! It's great to hear that so many people had fun watching it too. 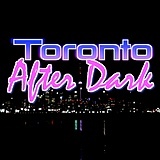 I have found myself many times roaming around Toronto after dark. Awesome idea and a platform to have an unlimited amount of characters with the signs and sounds of Toronto! Good Lucks Guys!!!!!!! Yo, Mikey, we're digging your vibe. Rumour has it that Ron's eyes are notoriously camera shy. And you've nailed it - the closed eyes look adds to his mystique. Really really good work. That "looking at the water too long" is probably the funniest joke in any of the entries that I've watched (maybe 20 percent) So take that for what it's worth. Wow! Your taste in comedy is so good, it's actually sick. If you like our style be sure to follow our project and check back each week. Are we stuck in a time loop? Oh well. Thanks, Adam! Very unique idea for the differentiator video. You were able to be creative and funny but still show people how your show is different. We're glad the idea landed because we had a great time making this video. I was in tears laughing several times. A group that radiates hilarity and love. Give these guys a show already! Each week just keeps getting better! Yes! Let's win the Coup and get this series on the air! Thank you! Okay, so this video nailed the Differentiator. That was a great idea doing a promo piece for the tenth and final season of the show, and showing where the cast members were. it really worked. Thanks, Eric! We want to keep making this show and hearing things like that forever! How did they get all the way to season 10, I've never even heard of this show before. The first video was funny. You caught us! Just a gag! Thanks for watching, Linda! We can't wait to showcase some sketches. What a great idea for your differentiator video (from the futuristic success p.o.v.) Creative! Also, at the last second I just glanced at Bone Thug's caption and DIED; "If I hadn't gone to prison then I never would have married Big Chu. So overall, I guess it was a good thing that I smuggled all those Pugs from Peru." Way to go dudes and dudette! This is amazing!! So funny, and well put together. Outstanding creativity! I never know what to expect, but I always end up laughing uncontrollably! Making it appear as though it is ongoing is a great idea! I can't wait to see more of this. That's awesome to hear, Court! I like how you guys made it sound like you've been an ongoing show for a while now. Seems like an interesting idea, I think some of the jokes could be strengthened and make it even better. Good luck in the competition! Thanks for watching, we really appreciate it! Thanks for the feedback, we're loving your videos! I also read that you're a Humber grad too, GO HAWKS. Well written and produced. Love the Gulf shirt Ash! You're the best, Dad! Thanks for your support electronically, emotionally, and financially. I love you so much. I like your approach for this video, guys. Although unless I watch the earlier videos, I am left with having no idea what the show is about. Funny idea for the mission though and good jokes! Thank you for taking the time to make some constructive criticism, Adam, we appreciate it. We're glad you liked it! haha this is fantastic for the fact that you did something totally different! Now, really, it does not explain much in terms of how this show will be compared to the rest but that is me personally. I do like the fact that you went totally left field on this one. Better left than right right? Totally. We didn't want to repeat anything we said in earlier videos, so we focused on saying as much as we could about being different different different! Thank you for your comment, and for giving us a watch! Every time I watch a Toronto After Dark video I never know what I'm going to see. And that's a very good thing. Their comedy is original and always funny. I can't wait to see more. We promise to keep you on your toes. Thanks, Adam! Genuinely very happy to hear that. Thank you, Ernst. Whoa, how did I miss the last 10 seasons!!?? They went by so fast - it was actually sick. Overall this is my favorite show. The teaser was awesome. Their intro video really made me love them more, but the differentiator rock it. Doing it like it was their 10th a final season, genius! Good luck and congrats. You guys have got the magic touch! Phew, what a thoughtful comment. This is an awesome breakdown of our efforts so far, Virginia. Thanks for watching. I really love this group. The idea for their show is great. I would be so dedicated to watching this every week just to see what happens next. Its also a great way of showcasing Toronto. Cash Grab is a very talented group of people who really enjoy what they are doing. Good luck and congrats. You're supposed to say "break a leg!" Just kidding, we're not into that superstitious stuff. Thank you for watching, Adrian, and be sure to only watch future videos at 11:11 PM for maximum joke magic. Such a fun and talented group. I love Cash Grab. Come on CBC, give these guys a T.V. show so they can keep making these awesome videos! Just hold out a little longer, Lorraine, we'll be entertaining you on TV before you know it. Thank you. Great concept. You guys are so funny and your videos keep getting better. We want to do this forever. Let's do it! Thanks, Edward! The illustration of various cultural landmarks in this oft overlooked city seem to me to celebrate a sense of multiculturalism which undoubtably cannot be perceived as a pandering to the canadian broadcasting corporation's missions statement as it virtually celebrates, from an underfunded artist'S perspective, many of the the obvious inspirations oblivious to few. Which is to differentiate a compliment from a critique or disparaging remark, clearly. Lovin these series of videos. Eating a bowl of wild rice, bit of pepper and salt. Got a glass of water too. Nearly fell off my chair laughin. Good comment, good taste and greatly appreciated! Congrats. Top of the trending list today! Thanks to our great fans like you! Nice work guys, great to see fresh material that's just as good as the last video. Keep up the great work, look forward to seeing what you do next. Thanks, James! We're looking forward to it too. 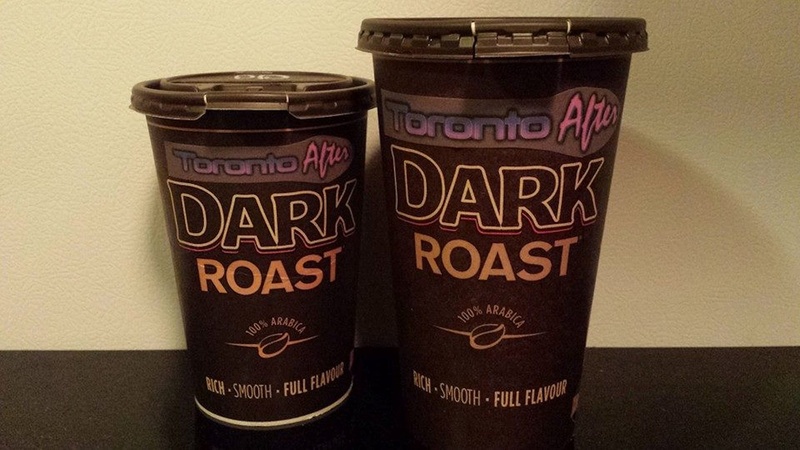 Toronto After Dark, you do deliver! The week 3 look back at the 10 year marriage of Cash Grabs sketch troupe and the CBC is clearly a prediction of your future success and a match made in heaven! Haha, I hope I don't live long enough to see my friends become these monsters. Thanks Kathleen. Yes! What a great way to attack this week's challenge! Mentioning how awesome your Differentiator video was without actually showing us the Differentiator video because that's the concept of your Differentiator video.... mind.blown. It's cocky, but it really works for this show's concept! The only thing that bothered me was the sound quality and how inconsistent it was throughout the video. Otherwise you have a very strong product here! Thanks for the thoughtful comment, Samuel! As for the audio, we intentionally added echo and telephone effects to certain shots to help create a feeling of different environments. Did we overdo it? what do my EYES behold, they behold something wonderful and funny and creative and fun and funny and creative and fun. Great vid, love the cuts, love the takes, love the flow, love the quality, love the facial tattoos….REALLY love the facial tattoos…as I’m writing this I’m scratching my fresh forehead tattoo I just got as a result of watching THIS video, they said not to scratch at it but I can’t help it, I think I’m just excited for it to heal so I can show the world what a forehead with a bon jovi song lyric on it looks like! YO THIS VIDEO IS ACTUALLY SIIIIICK. Ash, why are you reppin the 416? Steeltown baby, stay hard. 905. 905. 905. Love you. Oskie wee wee, bro. Love you. THIS IS SO PROFESH. Love the concept. Super high quality. 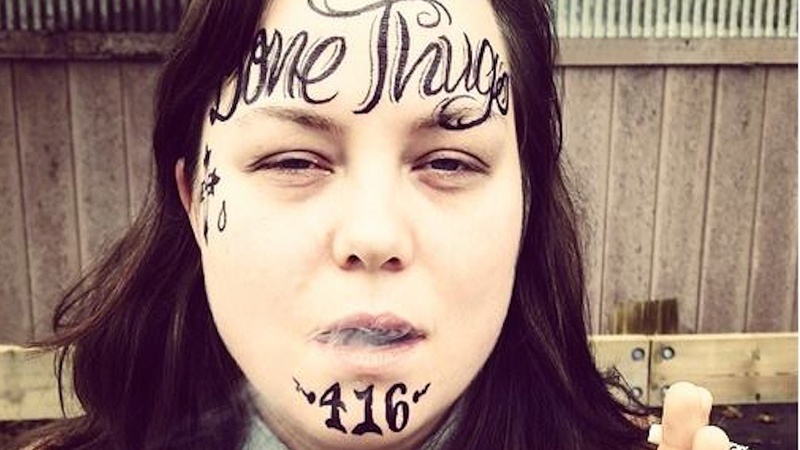 Best face tattoo in the biz. Ashley Moffatt is a personal hero of mine and she and her team really knocked this one out of the park. Kyle W rocks the music! It's SICK!! He's actually very sick and actually very cool as well. clever little promo vid. Production value can be much improved and I think the characters can be a little bit more exciting or standout. all in all a greta effort! Thanks, Art. Now all we need is that $500,000 and we can get our production to television quality! Wow! So cool! 10/10! Great job! Ashley! Why are you in jail!? Cool! Tubular! Radical! Also good. Thanks Bip, you're number one! Dudes, this turned out reeeeal good. So happy to be associated with y'all. The editing is incredible, the music is amazing, and you're all so funny and handsome. I love you guys. Clever script and great film editing showcase wonderful actors and their comedy! And we love doing it! Yo Ash, those tats are actually sick. See you at the crossroads, homie. P.S Good job, Cash Grab! Thanks Mom, you're weird! Love you so much. Laughed out loud. That's what it's all about! Talent galore! Our budget is tight right now so we've been changing characters on a nickel, but just think of how much money we can change on with that $500,000! I laughed my head off! Heck yes! We're glad to have cause such an intensely violent reaction out of you, Sean! Hopefully your arms don't fall off and you're unable to watch the rest of our videos! There was none of what I expected , only more of it. Wow, Robin, it's worth making these videos just to read what you comment. Fantastic! I really like the way their comedy is going. They are doing something very different and I love how everything runs together. They are going places. They work well together which is something you don't see very often. Good work and congrats! Thank you everyone for your support! We really appreciate this. Exactly, what she said. Bravo. I like this video! It's an interesting concept to make a video that looks into the future of this series. Kyle's outfit is pretty awesome in this one! Ron is hilarious and Ashley, I hope it wasn't too hard to get that marker off your face! It took hours of sponging Ashley's face. We got it off after 3 minutes but Ash just told us to keep going. Thanks for your support! My face is a mess! This show caught my eye in the first week. pretty consistent stuff coming out, hopefully you're issued a challenge that let's you put out a full sketch or two.